This is part one of my blog for healing disease. Let me start by saying: It’s not that eating bad will kill you in an instant. It’s that years of poor eating behaviors will decrease the body’s effectiveness in fighting disease. It happens slow then shows up in a big way. The appearance of a disease puts most people on the defense and want a quick fix to rid it from the body. But for true healing the disease must be deconstructed and evaluated if one wants to find a harmony within their body. With my condition, months of autoimmune issues, digestive problems, pain and inflammation led me to realize there was a serious problem within my gut. In the early stages there was a strange pain and bulge I would feel in my gut along my ascending colon and getting more prominent. There was a constant discomfort and nothing I was doing helped in any significant manner. I got relief with juice fasting, but then it came back. Stress would make it worse. It became obvious I was missing something that would support my gut and correct the issue. It was time to get serious about it before it was too late. At the time I did not have medical insurance nor the money to go to a doctor. Besides, I knew what the path of the medical model would entail and I didn’t want to go down that path. It was less than a month before we were scheduled to leave for Mexico and I had to get some insight to this. My fears were getting to me. It seemed everywhere I looked was a story about cancer. I would overhear conversations about colon cancer. My symptoms were worsening, whether it was from fear or from the actual issue getting worse. I was now constipated and my digestion was poor. Belching and flatulence became a regular symptom after eating. I didn’t feel good. Some suggested a hernia while others shared stories of much worse probabilities. One such story was of a former student who only had minor constipation before passing away two months later from colon cancer. Colon inflammation is a sign of colon cancer. This distressed me. Soon after these troubling stories, there was an even more prominent pain under my rib that wouldn’t go away, so I decided to stop into urgent care for a look. I wanted to know so I could make a decision about our trip. The doctor diagnosed it to be gallstones and suggested I get my gallbladder removed. Okay that seemed logical, but the lack of digestion and elimination was another issue. Surgery was not an option. I knew my body would heal itself. I just needed to give it what it needed to heal. 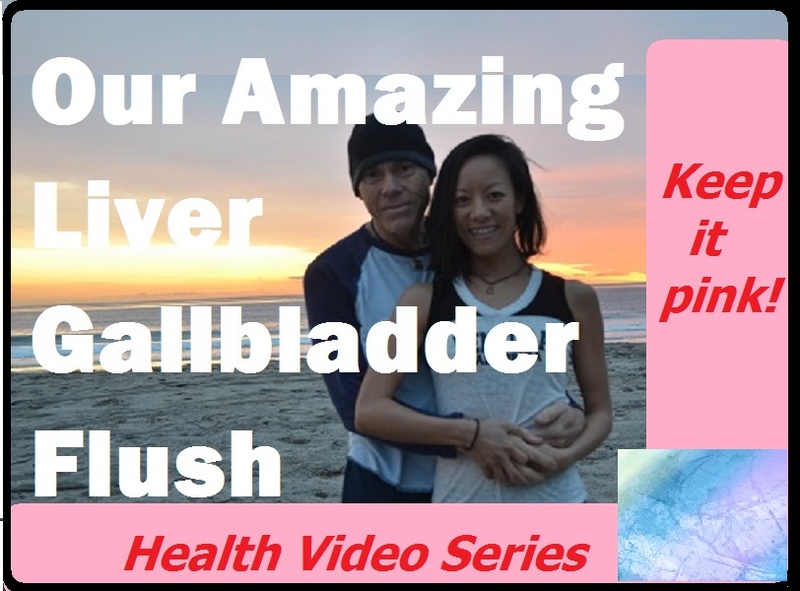 It was then the friends at Miller Wellness Clinic in Agoura California, introduced me to The Amazing Liver Gallbladder Flush, a book and a method for cleansing the liver and gallbladder of stones by Andreas Moritz. I read the book and spent time in research. My partner and I decided to start the liver flush together. After the week of cleansing I immediately felt better but my other gut issues were worsening. I received a treatment of Quantum Reflex Therapy to discover imbalances in the energetic field of my organ systems. I was diagnosed with lower intestinal parasites. I then scheduled an appointment with a colon hydrotherapist who found it difficult to insert the probe due to inflammation of the colon. 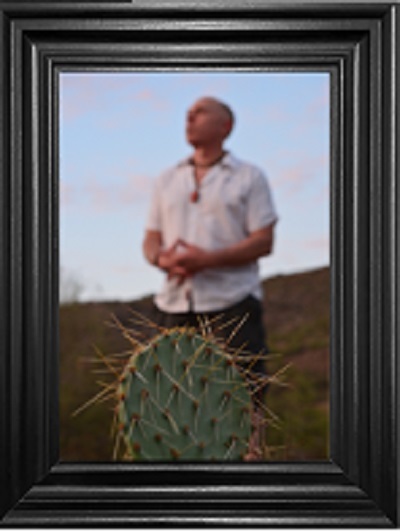 It seemed I was dealing with parasites, liver/gallbladder stones and an inflamed colon. From what I knew, this was going to be a serious process of healing. After reading several books on these issues and knowing how the natural process of healing works, I realized I had been unconsciously abusing my gut for a long time and had to face it. Since I was a young boy my family over-fed me. I learned to eat too much too fast. I became overweight. Then as a teen I decided to lose the weight but found it difficult to lose the eating patterns. This led to bulimia. This lasted through my twenties until I simply realized it was not a healthy thing to do. But still the habit of eating till full, eating too fast and eating too late stayed with me. I slowly learned to control it and not eat to be stuffed but years of abuse already damaged my system. these behaviors are the primary factors that destroy the gut, the liver and the colon and feeds bad gut flora thus allowing parasites to flourish. After 40 years of this behavior it was time for a wake up call. It was time to change or continue to be sick and die from abuse. Everything happens for a reason and I know I asked for this lesson. As a yoga teacher and vegetarian I was conscious of the quality of the food I ate and practiced organ strengthening exercises but the lingering behaviors around eating needed to change. I was at a point in my yoga practice where I knew there was an element I was missing. An element of purity that was keeping me from the mindset and the body that I wanted to achieve. So this gut disease was my chance to address this piece of my behavior. After much meditation, prayers and reading I let myself feel the shame and the fears that were associated with my habits. I went deep into it and forgave myself. I realized this was what I asked for and I was willing to cleanse every part of me associated with this disease. I had several issues to deal with including the probability of a tumor. Three weeks later we left for Mexico. At this time I had almost completely stopped going to the bathroom. Traveling was not fun. Eating caused great discomfort and moving around in general was miserable. We were on along-term house sitting gig in the Caribbean which is why I thought it was good to go. It would be a time of healing, or at least a good place to die. I discovered that the liver is the most efficient regenerating organ of the body and the most vital for our health controlling over 500 processes of the body. If it is plugged up, you are surely on your way to disease. After our first liver flush I knew I was on the way to regeneration yet still discovering the even deeper pain of what I had done to myself. I began to lose weight quickly, which is another sign of disease. I could no longer go to the bathroom without having an enema. At this point I knew that if I believed in the power of the human body and spirit this was my chance to make it so. So my body had all but shut down. It was time to begin treatment.